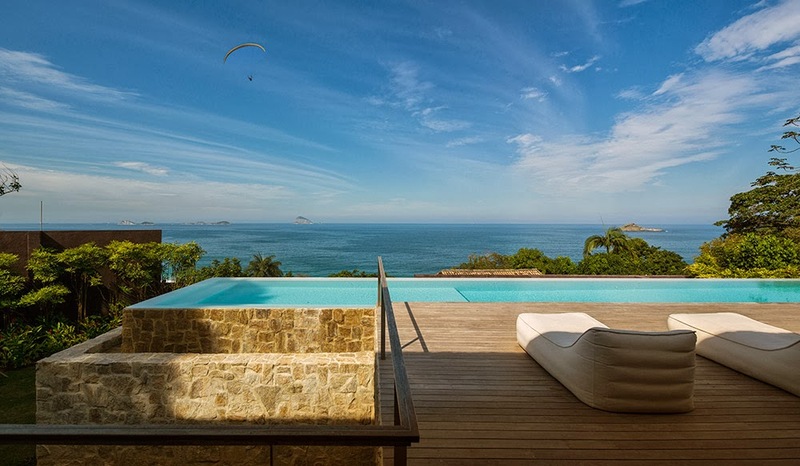 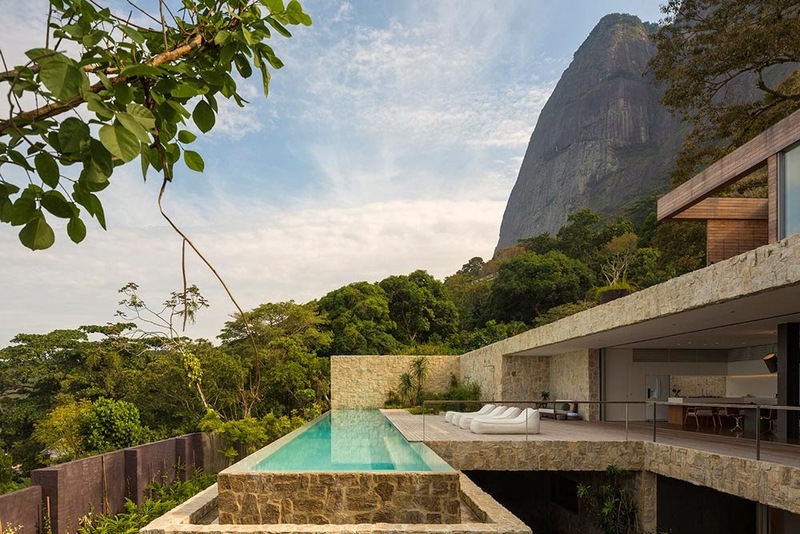 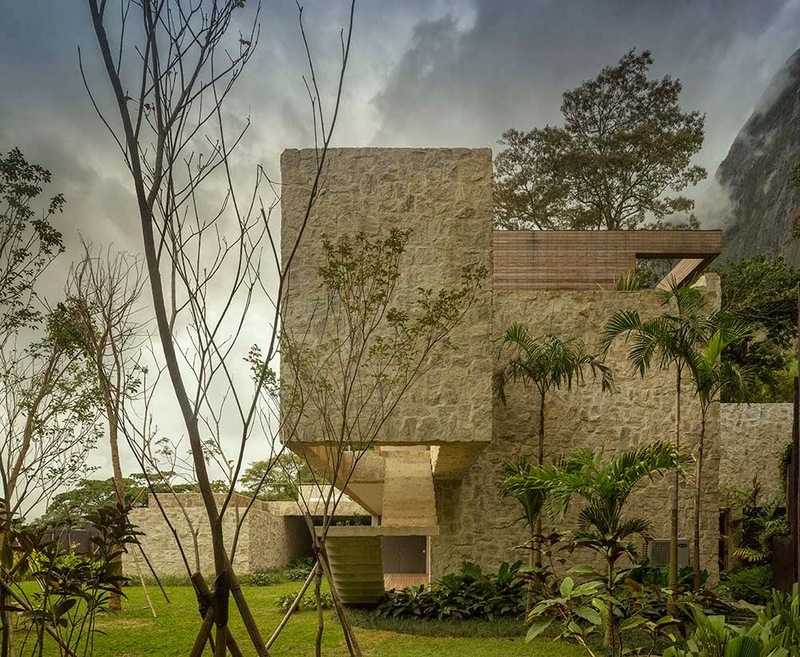 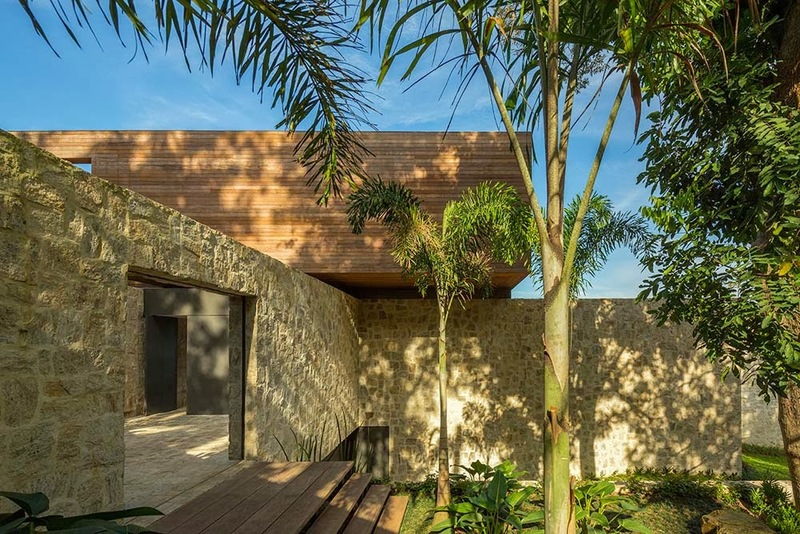 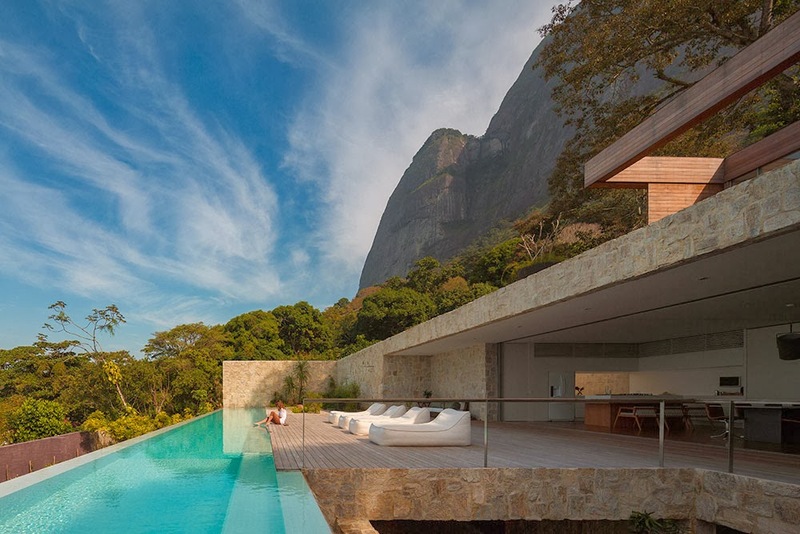 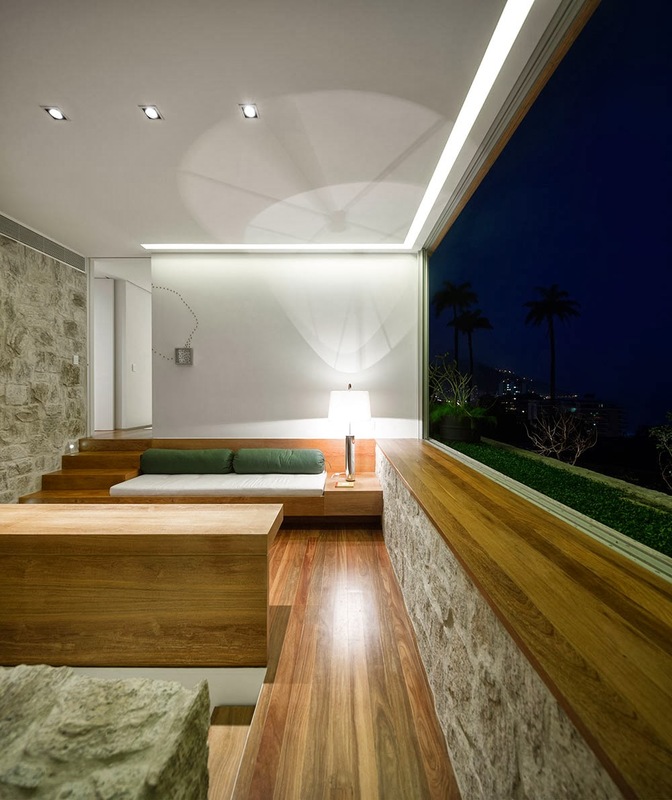 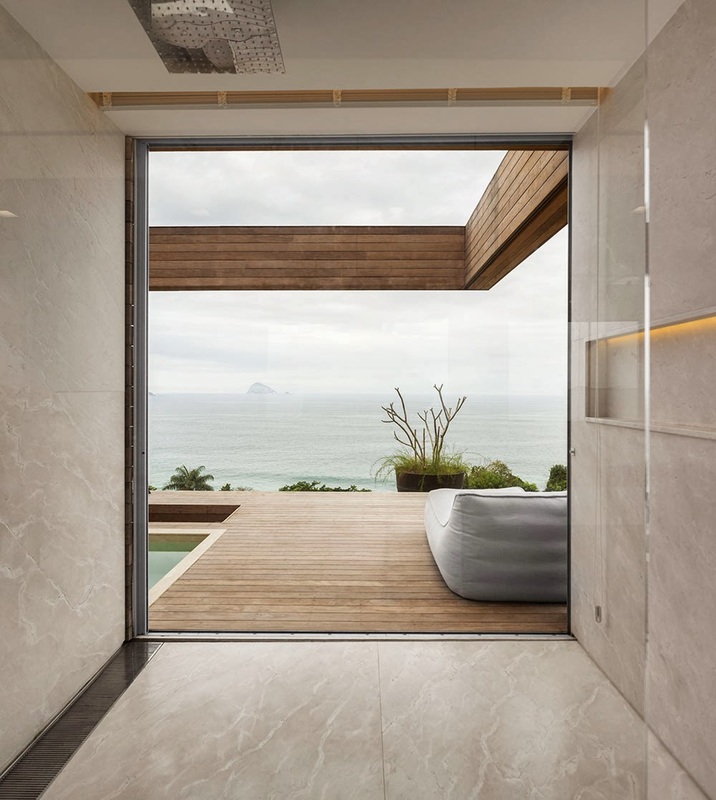 Located in a seafront neighborhood on Pedra da Gávea in Rio de Janeiro, this house was designed by architect Arthur Casas for Brazilian TV Host Alex Lerner. 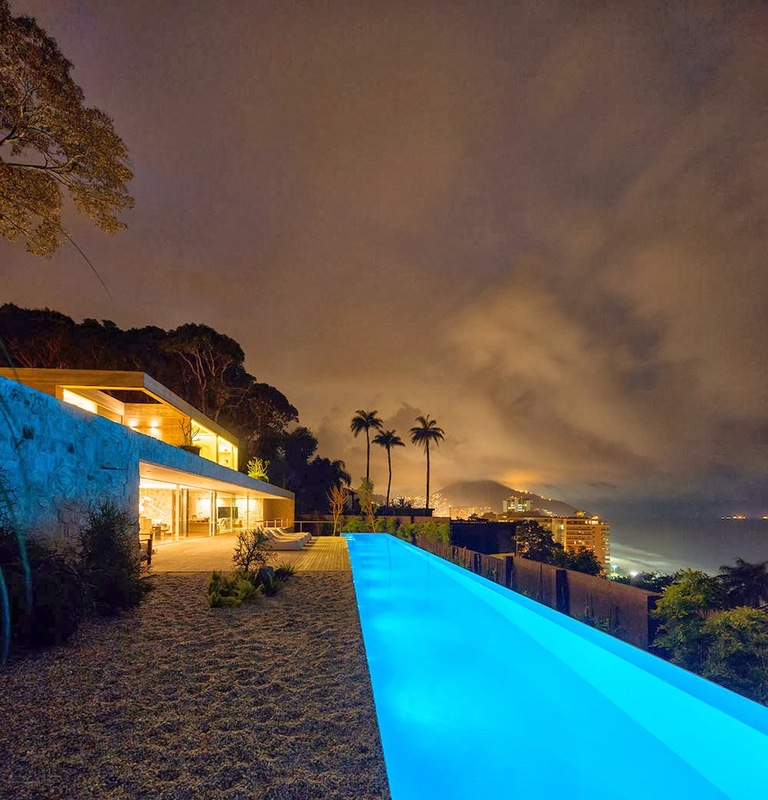 The building sits on a cliffside, having a strong presence, with amazing views over the beach and the ocean and a breathtaking lengthy, rectangular swimming pool. 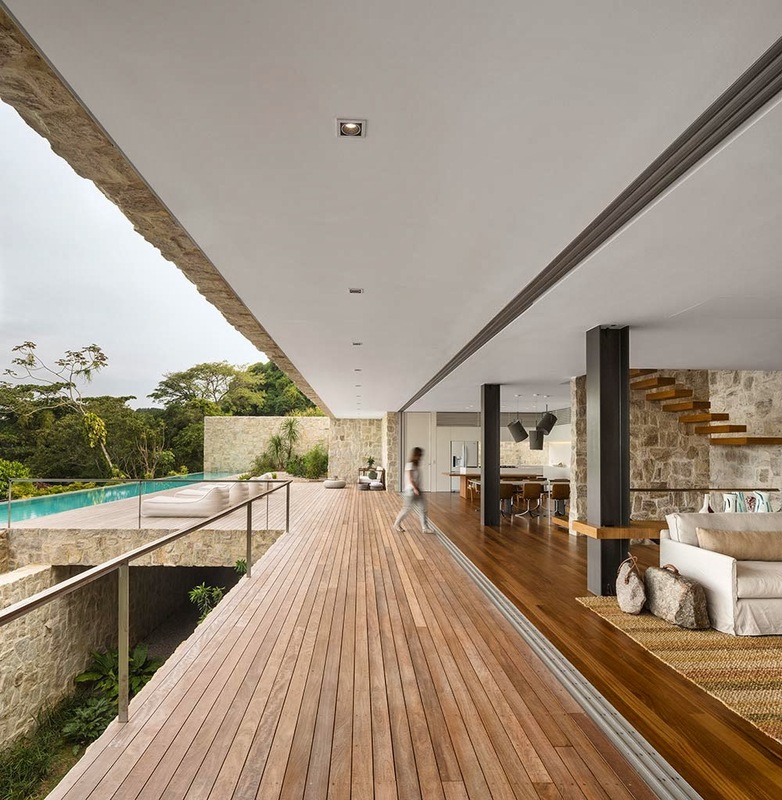 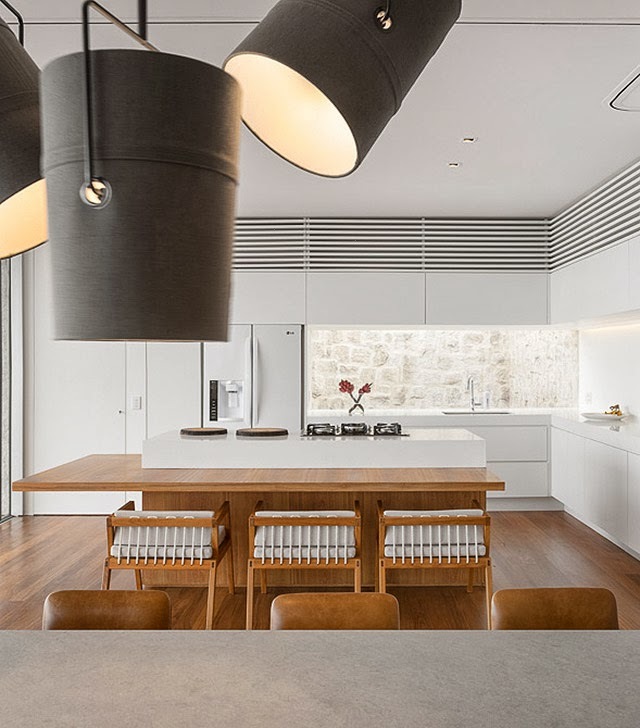 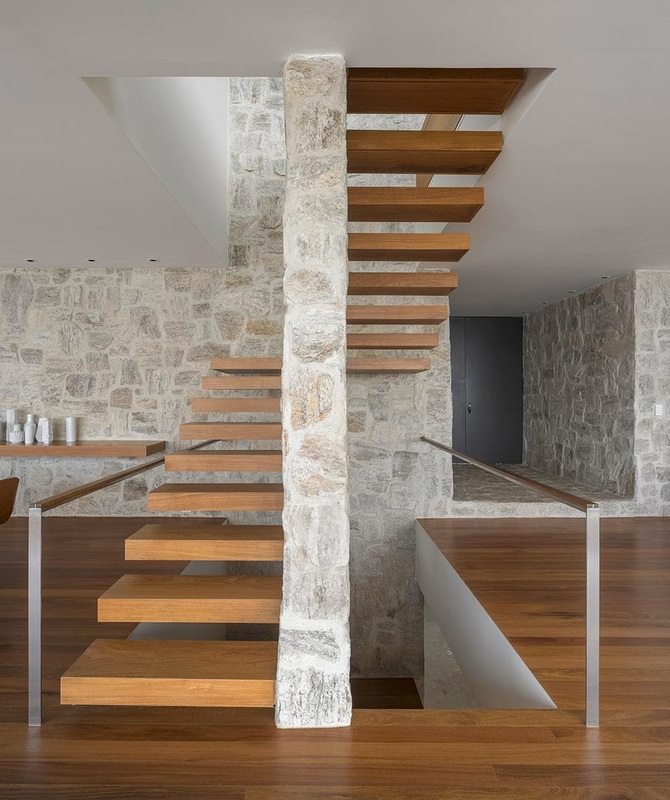 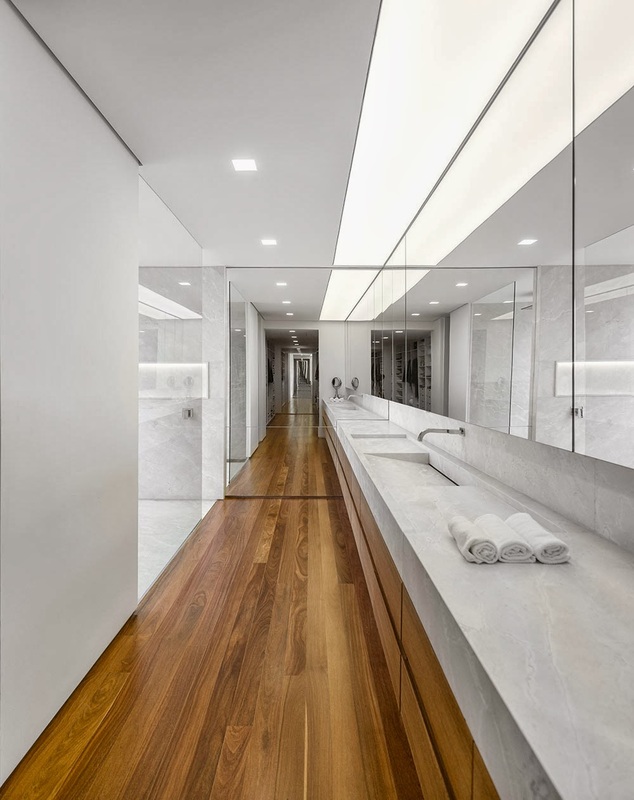 Clean minimalist lines, precision of details and a sensational use of materials and textures dominate walls and floors of the house that merges interior with exterior in a seamless way through its floor to ceiling sliding glass panels.